You might be wondering what the heck is Prominent Haptics? Put simply, Prominent Haptics allows you to adjust the feedback vibration on your Apple Watch. In other words, you can adjust the vibration strength to your liking. 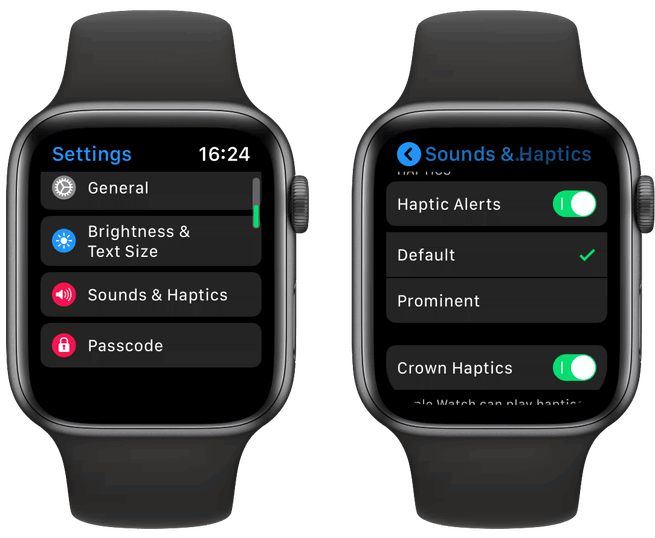 In this article, you learn how to turn on prominent haptics on Apple Watch for better notifications. Scroll down to Sounds & Haptics and tap it. Scroll down until you see the HAPTICS section. You should see two options: Default, and Prominent. If Prominent Haptics keeps turning off, restart your Apple Watch and repeat the steps above to re-enable the feature. When you enable Prominent Haptics on Apple Watch devices, it sends out a longer haptic feedback right before the standard haptic vibration. So, if you are accustomed to missing notifications due to the default short and quick haptic vibration, adjusting the setting might help.